Business Name: Chan, Jennifer M.D. 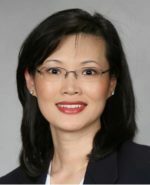 Dr. Chan conducted her family practice residency at Saint Vincent Health System in Erie, PA. She received her M.D. and completed the Rural Medical Education Program at the State University of New York Health Science Center at Syracuse. Dr. Chan received her Bachelor of Science from Cornell University. Business Name: Haeckler, Barbara Ann M.D. Dr. Haeckler completed her residency in the Forbes Family Practice Residency Program in Monroeville, PA. She earned her M.D. at MCP Hahnemann School of Medicine in Philadelphia, PA. She earned her B.S. at West Chester College in West Chester, PA.
Business Name: Helena Choi, M.D. Dr. Choi completed her residency at SUNY-Downstate Medical Center, in Brooklyn, NY. She also attended New York Medical Collegein Valhalla, NY as well as Autonomous University of Guadalajara in Guadalajara, Jalisco, Mexico, where she earned her medical degree. Business Name: Kochumol Thomas, M.D. Dr. Thomas completed her residency at the Altoona Regional Health System in Altoona, Pa. She completed her M.D. 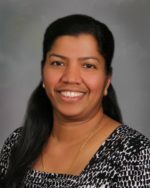 of Gynecology at Madurai Medical College in India, her Bachelor of Medicine and Surgery at Kottayam Medical College in India, and her Bachelor of Science at Kerala University in India. Dr. Owens completed his residency at the Williamsport Family Practice Residency in Williamsport, PA. He received his M.D. from Temple University School of Medicine in Philadelphia, PA. Dr. Owens earned his Bachelor of Science degree from Shippensburg University in Shippensburg, PA.
Dr. Patterson completed her residency program at the UPMC Shadyside Family Medicine Program in Pittsburgh, PA. She earned her D.O. at Touro University, College of Osteopathic Medicine in Vallejo, CA. She earned her Masters in Public Health from the University of Pittsburgh Graduate School of Public Health and her B.S. at the University of Pittsburgh. Ms. Deihl completed her Masters of Science degree at Georgetown University, and her Bachelor of Science degree in Nursing at York College of Pennsylvania. Maintains ACLS, CPR and first aid certifications for health care professionals, registered RN with the state of Pennsylvania. Business Name: Steves, David D.O. Dr. Steves received his Graduate Degree from the Philadelphia College of Osteopathic Medicine, in Philadelphia and completed his Internship at Clarion Hospital in Clarion, PA, as well as completing his Family Practice Residency, also at Clarion Hospital. Dr. Steves obtained two undergraduate degrees- the first in Pre-Med from the Pensacola Christian College, in Pensacola, FL, and the second in Biology at Cedarville University, in Cedarville, OH. Dr. Gaudiose completed his residency at Akron City Hospital. He completed his M.D. at Ohio State University College of Medicine in Columbus, Ohio and his Bachelor’s degree in American Studies at at Cornell University in Ithaca, New York.